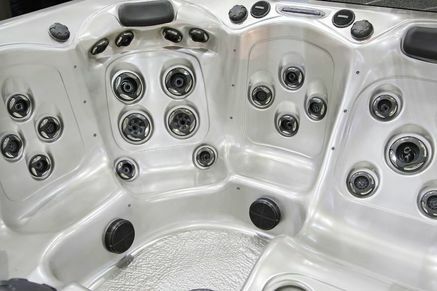 Hot Tubs Denver is here to help if you need to move any spa in Denver for any reason. Life is full of constant change, and we are here to help you go with the flow. If you need help moving a spa on your own property, then our team can help you do so safely and quickly. If you have a need to relocate your spa in Denver, then our team can take care of that as well. We move Denver spas all the time, and we work with both short distance moves that stay on the same property and moves to a new location across town. The distance and location are up to you, but our team will make sure to provide excellent moving service for any spas in Denver. So give us a call today so that we can get to work on a custom quote and plan for you! The hard working team here at Hot Tubs Denver is ready to help relocate any spa in Denver. We have the tools and insight to help make your spa relocation as painless and straightforward as possible. Regardless of where your spa is currently located or where in the city you need it moved, our team is the best for relocations of Denver spas. We take special care of every single spa that we move. The movers we send out also take special care at every property and make sure that your home is treated with respect. Sometimes our friends with a spa in Denver are working on a remodel and need their spa relocated on the same sight. If you are adding on to your home or remodeling the room closest to your spa, then give us a call, and we will help you move it to a new secure location. We work with Denver spas of all shapes, sizes, and brands, so you never have to worry about whether our team can handle the job! If you have a spa in Denver, and it needs moving, then we are ready to be of service to you! What truly separates the men from the boys or Hot Tubs Denver from the rest, in this case, is that we do our homework before bringing the strong movers in. Some companies rely on their movers ability so much that they forget how to plan and leave you making last minute adjustments. 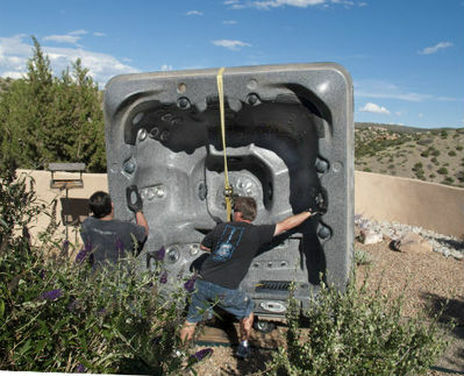 When we move spas in Denver we make sure to discuss it with you ahead of time and verify that the plan is airtight! This is why when our amazing moving team arrives, the moving of your spa in Denver is a breeze. The plan is all laid out, and the execution will be flawless!